Pontiac - American brand cars produced in the years 1926-2009, and the manufacturer, which was founded in 1899.. Since 1926, the American company was a division of General Motors and was closed in 2010 due to financial problems GM. Pontiac is headquartered in Detroit (Michigan, USA). The company Pontiac Spring and Wagon Works was founded in July 1899 by Albert G. North, and Harry G. Hamilton. Initially, the firm produced crews. In 1905 it was joined by the company Rapid Motor Vehicle Company (the future division of GMC Truck), founded two years earlier. In 1907, at the Chicago Auto Show (Eng.) Russian. It was shown the company's first car. It weighed 450 kilograms and had a two-cylinder engine developing 12 l. from. In November 1908, Edward Murphy, register your company Oakland Motor Co. In 1908, she and Pontiac Spring & Wagon Works together in Oakland Motor Car Company. In 1909, GM acquires initially 50% of the shares, and then, after the death of Edward Murphy, rest. Until 1926 Oakland unit engaged in production cars. In 1926, Oakland and Pontiac are two different brands, and then the company becomes known as «Pontiac Motor Division». Then the same goes the company's first car - Pontiac 6-27, followed by a series of cars out Big Six and the first eight-cylinder model. In 1933 he became CEO Harry Klinger, the company released updated models with 6-cylinder engine and equipped with independent suspension. In 1953, first saw the light models with bodies "Hardtop". Company Cars from this time begin to be equipped with power steering. In 1958 it started pilot production of the engine with mechanical fuel injection. 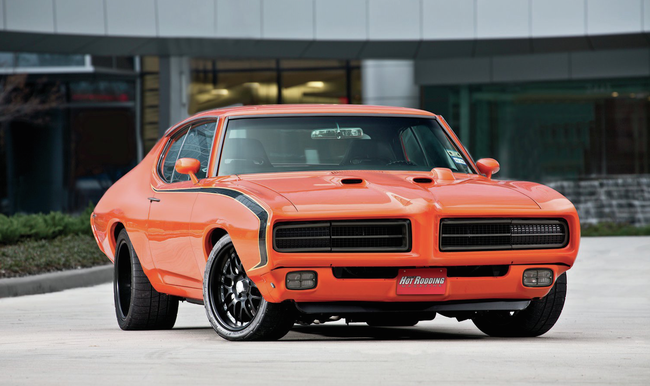 Design Pontiac GTO coupe, the 1967 has become a tradition for all cars of this type. Such cars often come out victorious during Hollywood races. For the first time this coupe was released in 1967. 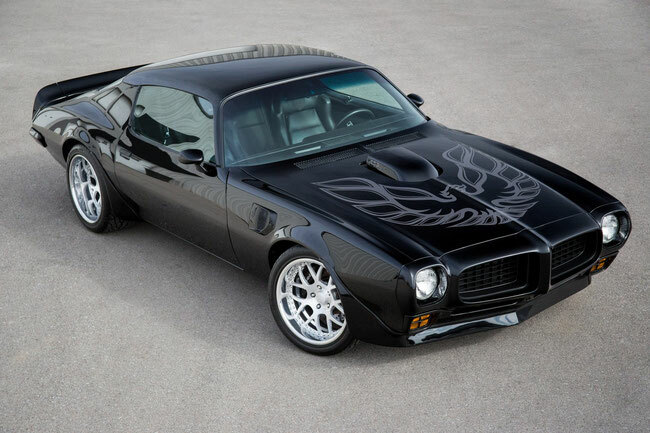 In the same year he began producing sports Firebird model, a sister to the Chevrolet Camaro. In 1971, the company presented compact model Ventura. 2 years later it started production of the model Grand Am (new generation model was introduced in Detroit in January 1998). Available in two body styles - four-door sedan and two-door coupe. In 1978-1980 gg., During the global energy crisis, the company General Motors decides to produce fuel-efficient cars with low fuel consumption. As a result, in 1984, he came off the assembly line Pontiac Fiero model ( "Pontiac Fiero"), sports coupe. Pontiac Bonneville, a car with front wheel drive, transverse engine, luxury. It was first presented in the autumn of 1986 (the next generation - in February 1999). In the early 1990s, there is a smooth transition to the production of new front-drive models. The Firebird, performance car, was first introduced in December 1992. It is produced with two different body styles - three-door coupe and two-door convertible. In 1995 he published Sunfire model. In 1996 he began production of second-generation minivan Trans Sport. In 2000, the exhibition was presented in Detroit model Piranha Concept - front-wheel drive four-door coupe, the equipment sliding doors. Rear door leans back, turning Piranha in sports pick. "Pontiac", lost its administrative and legal autonomy, still played a special role in the concern General Motors: Department of "Pontiac" was positioned as "youth". The company is part of the group still continues to produce sports cars. 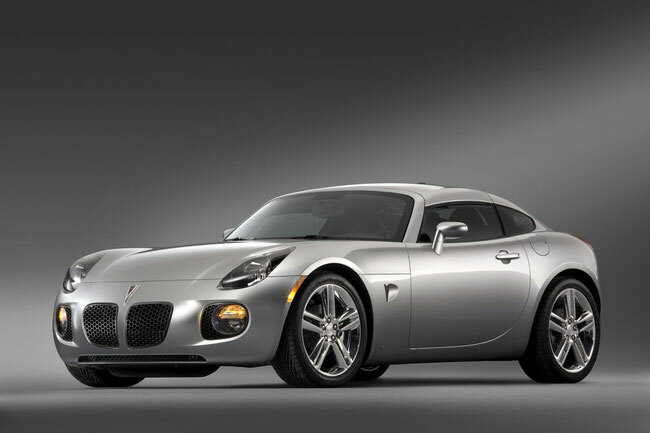 We continue to produce such famous models as the Sunfire, Grand Am, Grand Prix, Bonneville and Trans Sport. However, that has been put into production by 2000 Aztek. He was awarded the title of "the most ugly" world car according to British newspaper The Sun. In 2007 the production volume amounted to 344,685 units, which is 13.2% lower than a year earlier. Broke out in the next year the global economic crisis even more has hit the company. And April 24, 2009 GM has officially announced the discontinuation of Pontiac vehicles and the elimination of the trade mark by 2010. November 25, 2009 the production line in the village of Orion, Michigan, the last car came down with this label - white sedan Pontiac G6. October 31, 2010 is considered to be the day the demise of the Pontiac brand, as on this day has expired validity period last dealership contracts between General Motors and the dealers of the brand of cars.